January in Toronto may be cold, but with many post-holiday sales and few crowds, it can be a good time to visit this Canadian city. Some people actually enjoy the cold and snow, so for them, Toronto and its metro area offer plenty to do to make the most of the winter season. In addition, all of Toronto’s main sites and attractions remain open during January so visitors still have access to the best the city has to offer. And if you enjoy skiing or snowboarding, there are many places to hit the slopes around Toronto, depending on how much time you have during your stay. Toronto has cold, snowy winters. Visitors to Canada in January should be prepared for rain or snow, both of which are likely. The subzero temperatures feel colder because of the wind chill factor. Nevertheless, if you're prepared, you can comfortably enjoy the Toronto winter. You can also expect an average of 15 inches of snow throughout the month of January and around three inches of rain. Wind, especially in the downtown core, can also whip up frequently during January making the already low temperatures feel colder. All the more reason to pack accordingly for maximum warmth and comfort. Be sure to bring clothing that can be layered. Although it's cold outside, indoor stores, theatres, and restaurants may be quite warm. Here's what to include in your suitcase. New Year's Day: January 1 is a statutory holiday so expect many businesses, services, and government offices to be closed. Next Stage Theatre Festival: Produced by Toronto Fringe, this is the city's premier winter theater event where you'll see new works by established fringe artists. For 2019, the event runs from January 9 to 20. Winterlicious: This series of culinary events and the ever-popular prix fixe promotion takes place at more than 220 Toronto restaurants. It's held late January to early February. Harbourfront Centre: Located in the heart of Toronto's waterfront, you'll always find special artistic and cultural events at Harbourfront Centre. Also at Harbourfront Centre you’ll find Natrel Skating Rink, Canada's largest artificially frozen outdoor rink. Located on the Lake Ontario shoreline, this scenic rink is free and operates from November to March. Canada's Top Ten Film Festival: This festival offers the best of international and Canadian cinema along with lectures, discussions, and workshops. The Distillery Historic District: Check out tours and other special events in this village featuring unique stores, galleries, restaurants, theaters, cafes, and shops surrounded by Victorian Industrial architecture. Specifically, it’s worth checking out Toronto Light Festival wherein light becomes an artistic medium that culminates in a unique display of installations by both local and international artists. For 2019, the festival runs January 18 to March 3. Ontario Place: Through until March 17, 2019 there are all sorts of things happening at Ontario Place. Check out more light-based art installations at the Winter Light Exhibition. You can also rent some skates and go for a glide on the synthetic rink set against the Lake Ontario shoreline. When you get cold, warm up at the bonfire area, a short walk from the skating rink. Toronto is a great shopping city any time of year, but with January comes exceptional sales as stores try to unload all their Christmas-time wares. With fewer tourists, it will be easier to get good tickets to shows. You might be able to score cheaper accommodations and flights to Toronto for January since it’s low season for tourism in the city. 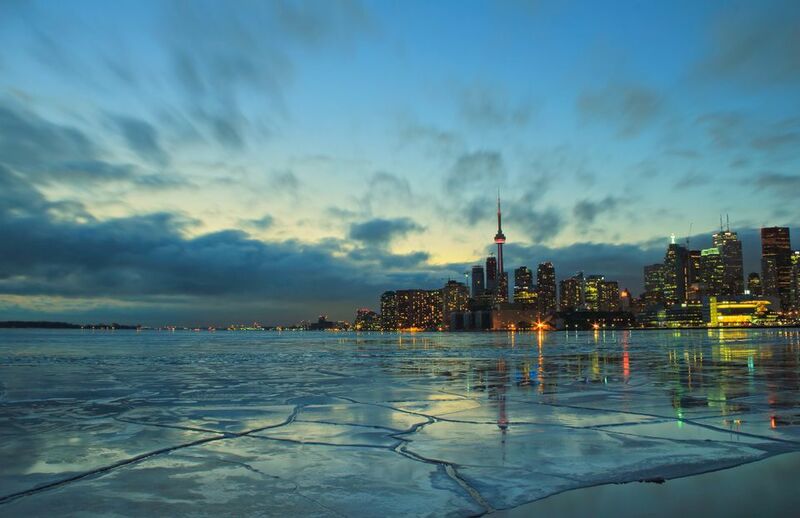 To learn more about if you want to visit Toronto in the winter, check out our guide on the best time to visit the city.